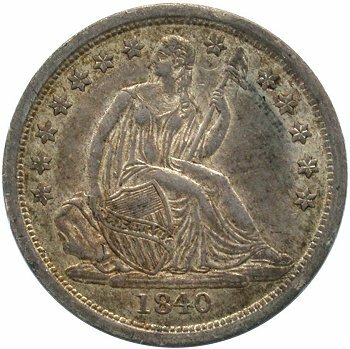 Comments: Heavy die lines from Liberty's chin to shoulder are very evident on Obverse 3. 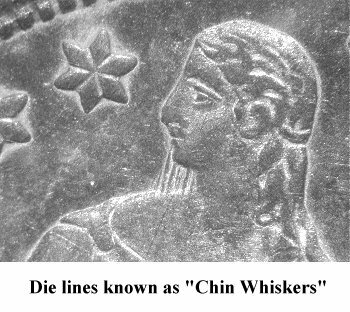 This die defect has come to be known as the "Chin Whiskers" variety. 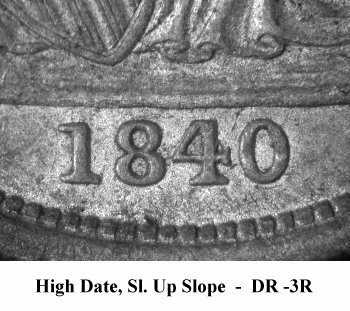 The date is high and has a slight upward slope. 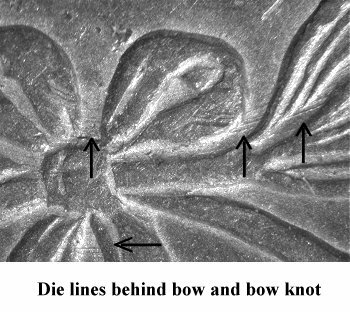 Reverse C can be identified by a series of die lines behind the bow and bow knot. This variety's popularity increased with its inclusion in the Top 100 Varieties set. 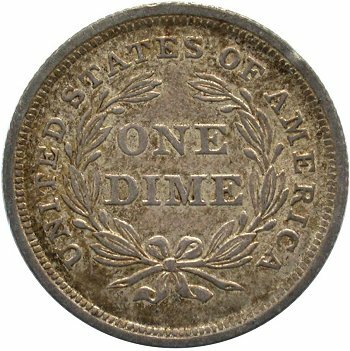 It can be located with some searching and is moderately scarce.